"During the 1950s and early 1960s, the American film industry produced a distinct cycle of films situated on the boundary between horror and science fiction. Using the familiar imagery of science fiction--from alien invasions to biological mutation and space travel--the vast majority of these films subscribed to the affects and aesthetic of the horror film, anticipating the dominant dystopian turn of many science fiction films to come. Departing from American technological awe and optimism throughout the 1950s, these films were interested in paranoia, unease, fear, shock, and disgust. Not only do they address technophobia and its psychological, social, and cultural corollaries; they also return persistently to the military as a source of character, setting, and conflict. Commensurate with a state of perpetual mobilization, the U.S. military is omnipresent in these films. Regardless of their genre, these films have always been understood as allegories of the Cold War, registering anxieties about two major issues of the time: atomic technologies, especially the testing and use of nuclear weapons, and communist aggression and/or subversion. Setting out to question, expand, and correct this critical argument, this book follows shifts and adjustments prompted by recent scholarly work into the technological, political, and social history of America in the 1950s. 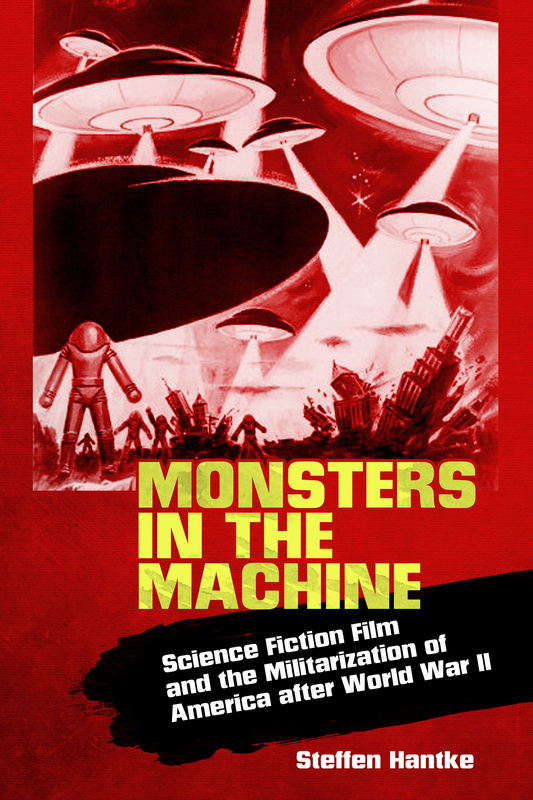 Based on this revised historical understanding, science fiction films appear in a new light as they reflect on the troubled memories of World War II, the emergence of the military-industrial complex, the postwar rewriting of the American landscape, and the relative insignificance of catastrophic nuclear war in comparison to America's involvement in postcolonial conflicts around the globe"
Add tags for "Monsters in the machine science fiction film and the militarization of America after World War II". Be the first. schema:about <http://experiment.worldcat.org/entity/work/data/2808644936#Place/united_states> ; # United States.